FREQUENTLY ASKED QUESTIONS - LET US HELP YOU! 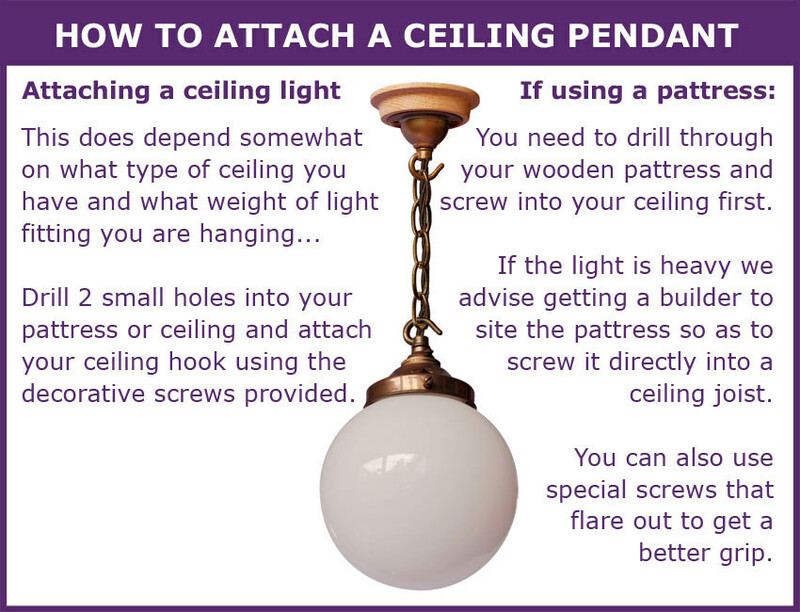 How do I know how much cable I need for my ceiling pendant? The easiest way to know how much flex cable you will need for your ceiling pendant is to create a mock up design using string. Once you are happy with your pendant height, simply measure the string for your required flex length. For more information regarding our flex please see our Lighting Flex Information pages. If in any doubt please always refer to a qualified electrician. How do I put up your ceiling Hooks or Roses? Ceiling Hooks & Plates Information pages. Is the wood you use from a sustainable source? Yes it is. Please see the certification PDF below. What weight can I hang from your ceiling Hooks and Roses? Our Single Ceiling Hooks can hang, using a piece of our large chain, a light fitting up to max of 5kg. If you had 2 hooks & chains you could hang 10kg and with one of our large triple hooks and large chain up to a maximum of 15kg. Obviously the fixing into the ceiling also needs to be secure. You can add one of our wooden pattresses which can be secured using larger screws. If you fix into a ceiling joist this can also add extra hold but you will need to consult a builder. Our ceiling plates that have just the flex hanging down can hold a maximum of 2kg i.e. the maximum weight tolerance of the light flex. If in any doubt please always refer to a qualified electrician. All work undertaken should be signed off by a qualified electrician to make sure it is safe.